Off for a drink tonight so decided to dress up a little, Might meet the man of my dreams eh? Well I can only hope! Im not sure how I feel about this dress after seeing these photos though, I love it but its very flared at the hips. I have a small waist but a curvy middle so Im not sure if it's just making my hips more prominent! I do like it but Im fretting now about my hasty decision at taking the tag off! Also, as you might have noticed Im going back to the fur stole phase I had a few months ago and chucking it over everything! Also wearing my Vivienne Westwood necklace that I got off my Mum for Christmas last year (should I star it to disclose it was a gift?) ;) I don't normally wear expensive jewellery but this is one of those things I can make an exception for. It's just gorgeous and I've been wanting on for years, I was one happy bunny when I opened it! The dress and fur look lovely together! That dress looks amazing on you, keep it for sure! So pretty, love the fur! 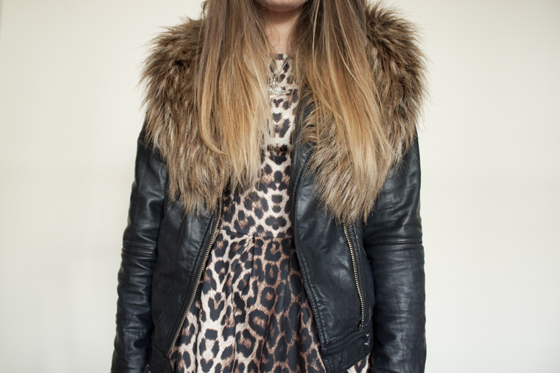 Love the dress with the leather and fur!! Aww, hope you have a nice night! 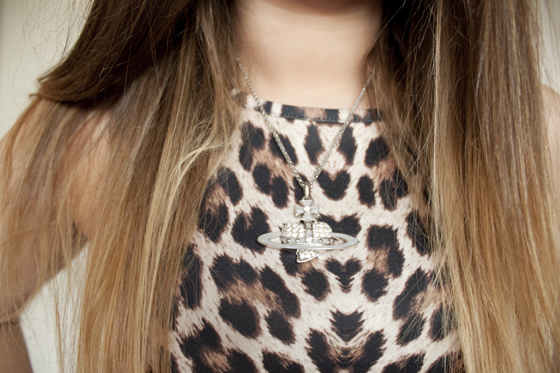 You look so lovely, I love the necklace to - you can pull off pretty much ANY style you want! I really love this outfit, I've been missing my fur stole recently! I think the dress is lovely on you, very flattering. Big fan of the necklace! the dress really suits you! i need to crack out the fur, this weather is getting rubbish! Gorgeous dress darling, hope you have fun on date night and meet a cutey! this is why I'm so worried about wearing it all the time! i don't wanna ruin it as i looove it! That Topshop dress is gorgeous! You're looking so tan and lovely! haha awh thanks! its a firm favourite in my wardrobe! i really want one of the plain styles! the pink and orange ones look gorgeous! 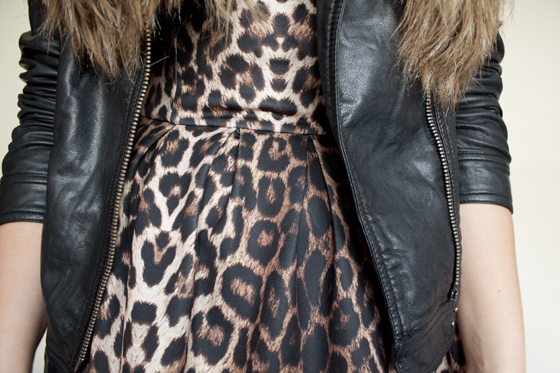 You look amazing, I love the whole animal print and style going on here and yor nail polish is also so pretty. you look amazing, definitely keep the dress! I am sure you caught someone's eye! awh bless you! i don't think so unfortunately! Lily, I want your wardrobe! You always look lovely in whatever you fur! And I love the nail colour! true, but I don't like having big hips in proportion to my waist as it makes me look out of proportion! but thank you! Great pattern and colours on you! Love the hair straight too. You're bound to have had stares from blokes all round the room I imagine!